Watch for the documentary film, The Cultivated Life: Thomas Jefferson and Wine, coming this fall on PBS. The film explores Jefferson’s passion for fine wine and the trials and tribulations of his efforts to introduce wine culture and European vines to the U.S. and Virginia. Easilly the most passionate wine lovers of all the Founding Fathers, Thomas Jefferson was instrumental in bringing vines to the New World. From Albemarle Magazine Nov. 2005 by John Kelly, "In 1993, a mere 250 years after his birth, Wine Spectator named Thomas Jefferson "Man of the Year." His contributions to wine in America are behind the upcoming PBS documentary, The Cultivated Life: Thomas Jefferson and Wine, executive produced and directed by John Harrington and written by University of Virginia alumnus Alessandro (Sam) Santarelli." This program explores Thomas Jefferson's lifelong passion for wine and his efforts to introduce wine culture and European vines to the United States. From his early experiments with Italian vignerons at Monticello to his grand tour through France and Italy, through his years in the White House and his later efforts at Monticello, the program offers viewers a visual journey through the life of the founding father of American viticulture. 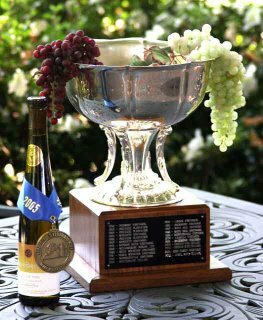 It culminates in a celebration of Jefferson's legacy to American wine, realized first in California and now burgeoning in many states, including Virginia. Narrated by Hal Holbrook and featuring an original music score. 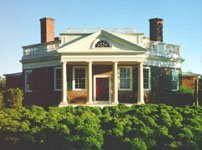 The story of Jefferson Vineyards, and the modern Virginia wine industry, begins in 1773 with a meeting at Thomas Jefferson’s Monticello between Mr. Jefferson and Italian winemaker and industrialist Fillipo Mazzei, who planned to produce wines, oils and silks for sale in the Colonies. 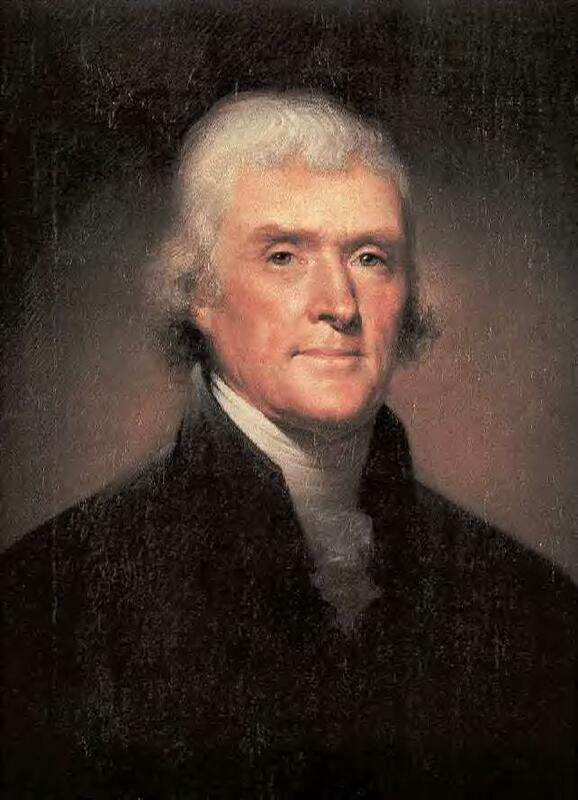 The idea intrigued Jefferson, famous for his love of the wines of Bordeaux,and he invested in Mazzei’s company. Jefferson’s influence attracted other investors, including George Washington, George Mason and Lord Dunmore, the Royal Governor of the Virginia. Mazzei started with 400 acres of land adjoining Monticello on which he would plant vineyards and build his home, Colle. After surveying the property, Mazzei declared, much to Jefferson’s delight, “I do not believe that nature is so favorable to growing vines in any country as this." While overseeing the construction of his home, Mazzei stayed with Jefferson at Monticello, and so began their life-long relationship. With the construction of Colle underway, Mazzei began planting in the early Spring of 1774, marking the beginning of the commercial wine industry in the Colonies, and what would become – some 200 years later -- Jefferson Vineyards. The Revolutionary War ended Mazzei’s efforts to make wine, when our country's founding fathers sent Mazzei back to Italy to solicit war funds from the Duke of Tuscany. While away, Mazzei rented Colle to an imprisoned Hessian General captured at Saratoga, NY and housed in the Charlottesville barracks. The general’s horses made quick work of the vineyards, which then fell to ruin, and all – for a time -- was lost. 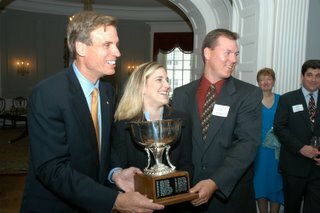 Hampton Roads, Virginia WHRO - Thursday, November 17, 10:00 p.m.
Linganore Winecellars Merlot Wins Maryland's Governor's Cup!! It's official! Governor Robert L. Ehrlich presented Linganore Winecellars winemaker Anthony Aellen with the 2005 Governor's Cup Award at the Maryland Wine Festival for his 2002 Merlot. Aellen described the wine as easy-drinking proof that Maryland can make great wines. The Governor's Cup competition judges described the wine as soft, well-balanced with good structure, and bright cherry aromas. 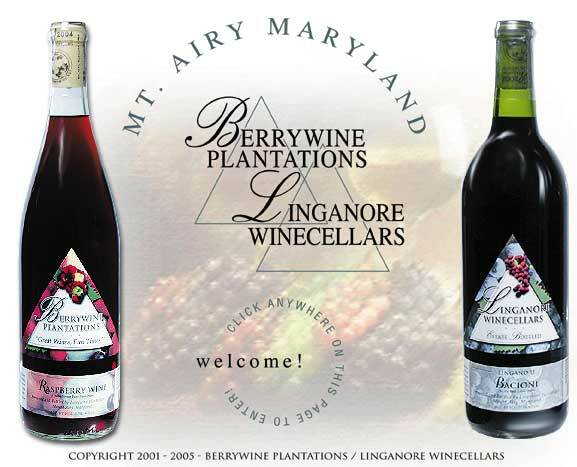 Their Maryland Merlot is grown in Queen Anne's County at the Hemsley Fortune Vineyard. This wine is full bodied with a soft oak background, rich in black cherry, vanilla and plum overtones. Judgement of Paris by George M. Tabor, is an exceptional telling of the fateful tasting in Paris in 1976, when the French put their best wines up against their American up-start cousins, and in a blind tasting, lost to a handul of American viticultural visionaries. Best wine story of the year! This is a perfect gift lovers everywhere. Open a bottle of French or Californian wine, and relive a little bit of history. In 1976, a Paris wine shop arranged a tasting as a gimmick to introduce some California wines; the judges, of course, were all French and militantly chauvinistic. Only one journalist bothered to attend, a Time correspondent, looking for a possible American angle. The story he got turned out to be a sensation. In both red and white blind tastings, an American wine won handily: a 1973 Stag's Leap cabernet and a 1973 Chateau Montelena chardonnay. When the story was published the following week, it stunned both the complacent French and fledgling American wine industries—and things have never been the same since. Taber, the Time man, has fashioned an entertaining, informative book around this event. Following a brisk history of the French-dominated European wine trade with a more detailed look at the less familiar American effort, he focuses on the two winning wineries, both of which provide him with lively tales of colorful amateurs and immigrants making good, partly through willingness to experiment with new techniques. While the outrage of some of the judges is funny, this is a serious business book, too, sure to be required reading for American vintners and oenophiles. Photos. "Here's the inside tale of the dramatic tasting session that transformed the wine industry. George Taber was the only reporter there, and he tells the tale with the same authority, depth and clarity of the American wines that won. His tale has fascinating characters, great locales, and a fine bouquet." "For those of us who were lucky enough to be part of the fun at Steven Spurrier's wine shop in Paris, this book is a trip down memory lane. For everyone else, Taber brings the event to life brilliantly with insightful portraits and a reporter's eye for telling detail." 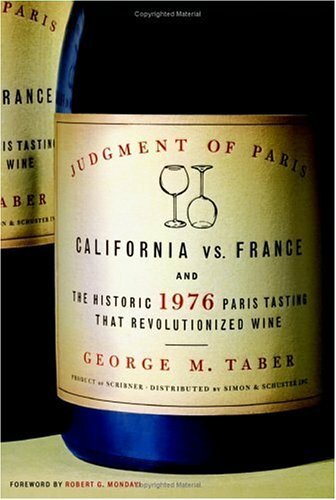 "Nearly thirty years later, Taber's book outlines an historic event that is relevant, captivating and compelling -- even for non-wine aficionados. The petty wine war that the Paris Tasting set off had one big winner: good wine. And one big loser: good wine...from France." "George Taber was alone among journalists to attend the wine world's Declaration of Independence from French supremacy. He tells the story of the California wine revolution with verve showing how the upstarts managed to surprise the complacent French. This is a rare book about wine to be sipped, not gulped." "The Judgment of Paris is a fascinating recounting of that historic event that was like a lightning rod to the budding wine scene in California. It is a must read for anyone interested in wine." 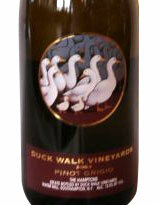 wrote "BERNARD CANNAC, hired as the winemaker last year, gives Duck Walk's whites a lift, a bounce. Their brightness is evident in three 2004 wines: the sauvignon blanc Cuvée Select, the regular chardonnay and the pinot grigio (pinot gris)." Have some fun and treat yourself. Howard is rarely wrong. One of the few nice things about getting older, not including being able to say, "Been there, done that," in your jaded way, is that there are a few surprises that say to you, "Shut up! You're not as old as you think. You still have a lot of living to do." This was said to me the other night by a bottle of 1993 Pellegrini Merlot. I had bought three bottles back in the mid 1990s, and drank two right away, and carried this other bottle since I lived in Park Slope Brooklyn, many years ago. A few nights ago, my wife asked me to surprise her with something. I was looking all around the cellar, looking under this bottle and that, when suddenly, I found this dusty old bottle. It lay there forgotten, discarded, like a kid who'd been passed over at the schoolyard basketball court for more than a decade. A loveable loser. I brought up a second bottle, just in case this one did not work out. I could remember the day I bought it. I had found a trove of it in a small store. I was already seeking out such wines years ago, prodded on by reading people like Howard Goldberg of the New York Times. I can remember where we lived, where my office was, what my commute was like. It was like a quick trip back in time, remembering when my wife and I were newly married, and taking the subway from Brooklyn, before we owned our first car - a hand me down Subaru station wagon with more than 100,000 miles on it. Bush (Herbert Walker) was President, the subway was still under $1.00, the Yankees were still struggling to win their division, and Ray Handley was trying to single handedly destroy my beloved NY Giants. I looked at the wine in the bottle against a strong light, and saw much sediment. So I carefully decanted and filtered the wine through a coffee filter (I hear the hissing now.....relax, I saved some raw sewage for myself to taste the unfiltered wine separately), making sure to remove the sediment that was dense at the bottom of the bottle, and decanted it. I was doubtful, until I breathed in my first wisp of the aroma. And then a broad smile filled my face. It was like finding Cinderella's slipper. It was going to be a good night. The wife was going to be very happy. The aroma was that of fresh bright cherries...and something a little deeper, maybe chocolate? I wasn't entirely sure. So, I poured a sip, and played with it in the glass. And then I tasted. Fresh, bright cherries were intense on my palette, followed by deeper berries, like blackberry or plum. And a nice, dry finish. Oh, boy. Long story short, I was a hero. We langorously devoured the the rest...very slowly. We were newly weds again. And many of the issues and problems that beset us, not the least of which are two rascals for sons, and three loving and large dogs, melted away. It was nice to find that kind of surprise in the cellar. And it also tells you how long it has been since they've been making wonderful reds on Long Island. 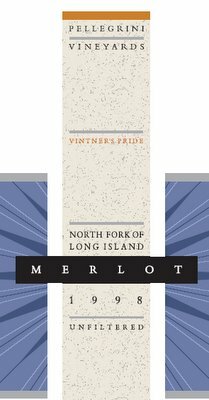 Find some old vintages from Long Island, and relive a little bit of your youth. Back when you were superheroes, when the world seemed less complicated and more fixable, and when jeans and sneakers were still you biggest concern, and not car payments and soccer games. Cheers!